Excuses for not exercising include lack of time and a busy schedule. You can improve your health and get fit in just four days a week. 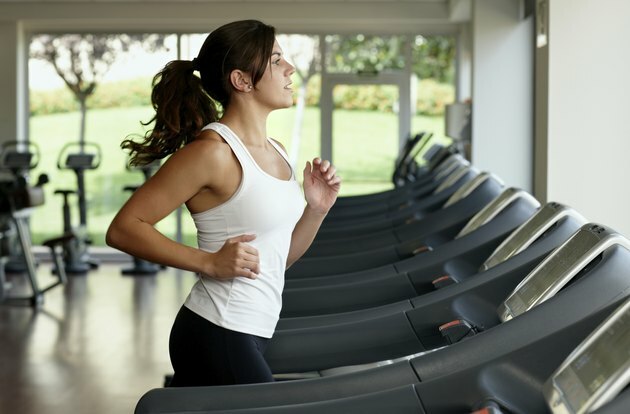 Do cardio exercise three times during the week with strength-training sessions on two of those days. Your fourth workout day should consist of a core strengthening and flexibility session. Aerobic exercise burns calories for overall weight-loss. 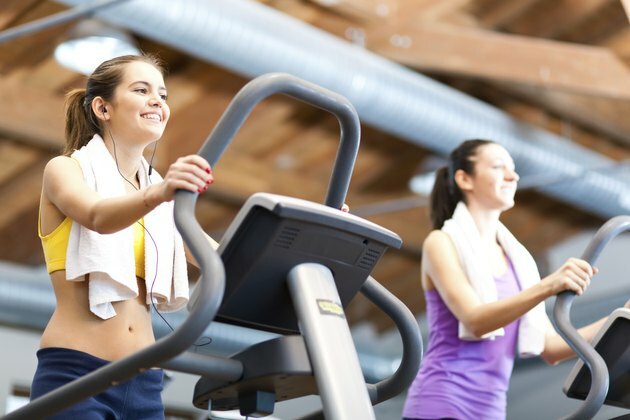 You'll need to do cardio three days of the week for 30 to 60 minutes per session at a moderate-intensity. One session should be high-intensity interval training to maximize caloric burn. Do intervals on a run or bike by working hard for 30 seconds followed by two minutes of lighter recovery. Repeat 10 times and include a 10-minute warm-up and cool-down. Strength-training may be performed twice a week on the same days as cardio with a day off in between for recovery. Do exercises back to back with little rest in between for a total of three sets. Select one to two exercises per major muscle group and do 10 to 15 reps each. A focus on the core forms part of the fourth workout of the week, along with attention to flexibility. A circuit of core exercises can include front and side planks, super-mans, one-legged dead-lifts and medicine ball twists. Do each for one minute and complete three circuits. Twenty minutes of yoga stretches for the major muscle groups -- including the quads, hams, gluteals and back -- will help you stay flexible. Does Walking Get Rid of Back Fat & Stomach Fat?